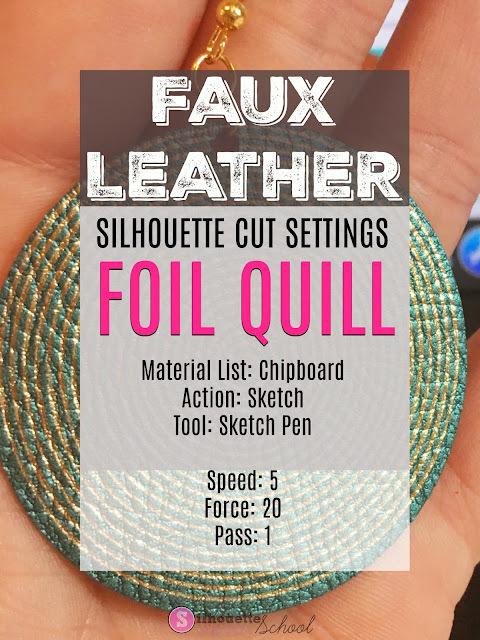 The Foil Quill is a new tool that can be used with the Silhouette machines (along with other cutting machines) to add foil to paper, faux leather, and even vinyl! The Foil Quill is getting a lot of buzz in the craft world even while it's still on pre-order (we recommend purchasing through Swing Design). 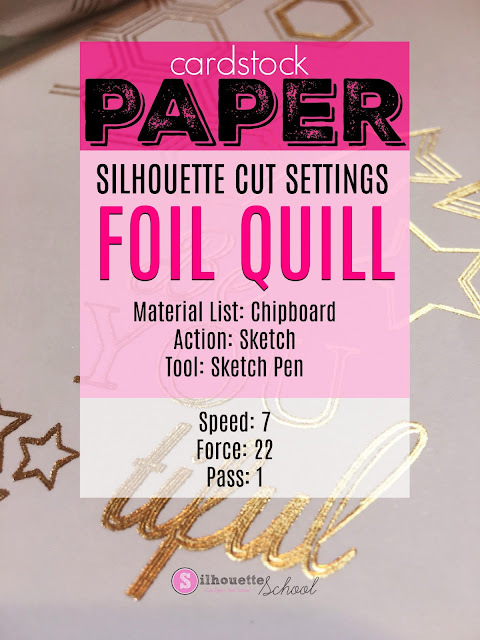 In this Foil Quill unboxing tutorial I'll show you exactly what's in the box along with how to set up the foil quill and provide the best Silhouette cut settings. There are three different size foil quills: fine tip, standard tip, and wide tip. They can be purchased together as a kit or individually. 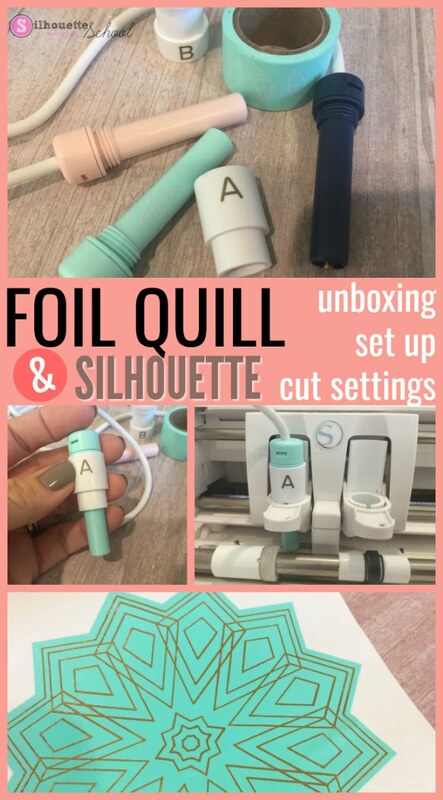 Whether you purchase them individually or together as part of the Foil Quill kit, they all include four different machine adapters so they can be used in either the Silhouette machines (CAMEO, Portrait, or Curio), the Cricut machines, Brother Scan N Cut and Sizzix. The Foil Quill kit includes not only all three size foil quill tips and four adapters, but also three rolls of reactive foil, a roll of tape, and a small metal heat shield. The foil quill tips heat up using an attached USB cord and when run over heat reactive foil adhere the foil to the surface below. 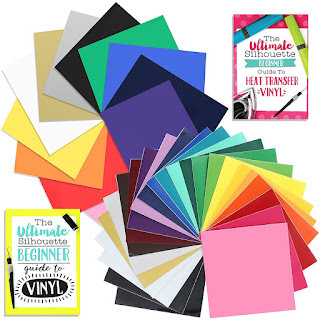 The foils can also be purchased separately or in bundles and come in a wide variety of colors (this is a big advantage over the 1-step Silhouette foil material which is only available in three colors). 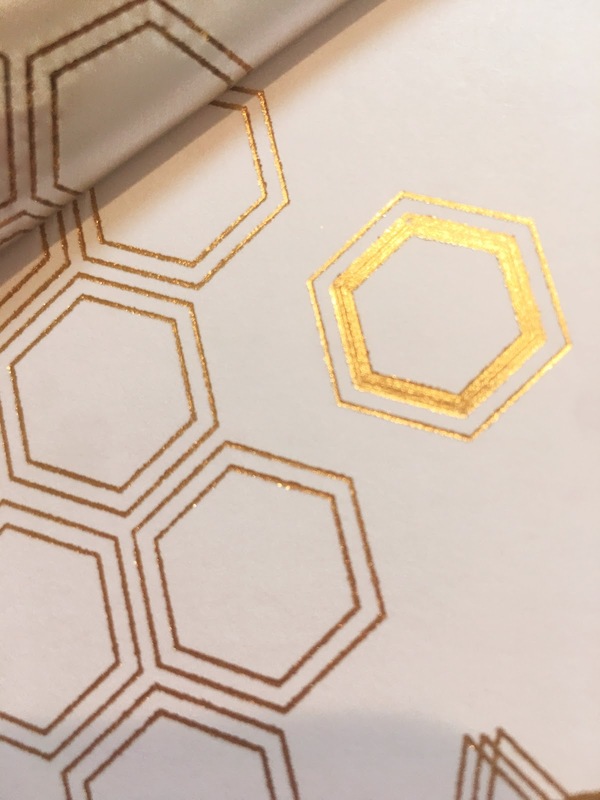 Materials that can be foiled include paper, leather, vellum, and even vinyl. Keep in mind the material where the foil is being placed, must be able to fit under the Silhouette rollers. Tape is needed to keep the sheet of foil in place while the heated foil quills draws over it applying it to the surface. The heat shield is used to protect the surface below the tip while the quill is heating up. When purchasing the individual size foil quill tools you will receive the tool and all four machine adapters. The Foil Quill will work with any font or cut file - including SVGs and Silhouette Studio designs. It's important to know that the quill will work just like a Silhouette sketch pen or blade applying foil EXACTLY and ONLY where the cut lines are showing. That means the quill will NOT fill a design with foil nor will it fill in a font. 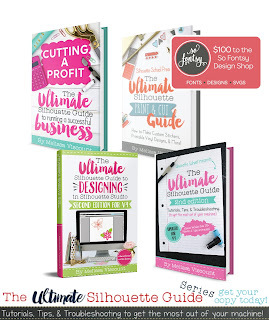 For this reason, single line/drawing fonts and designs specifically designed for sketching or foiling - like these on So Fontsy - are ideal as they will NOT result in an outline. So Fontsy's foil quill and sketch designs include both the SVG and DXF file type. 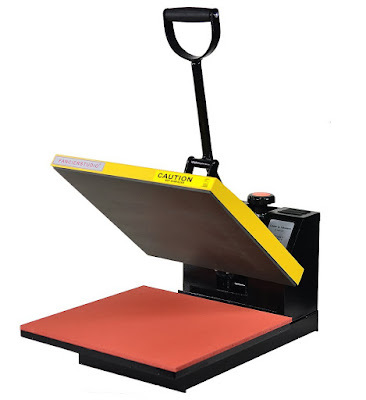 DXF can be opened with standard Silhouette Studio. 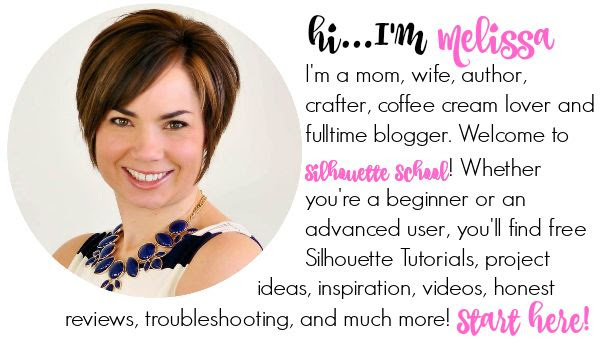 I would therefore NOT recommend Silhouette users, who do not have Silhouette Studio Designer Edition or higher purchase the Foil Quill USB thumb drives offered by We R Memory Keepers. The reason is, currently, these USBs include SVG designs and PNG designs. 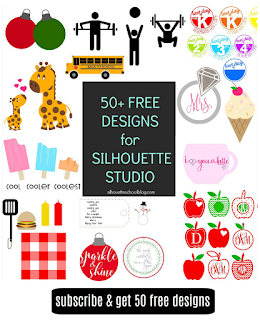 Since SVG designs can't be imported with standard Silhouette Studio, those users will need to import the PNG files. But in order to use PNG files the design needs to be traced to create a cut line and when you trace you always get an outline and that defeats the whole purpose of the single line design. Before you put your foil quill into your cutting machine, find the correct adapter. 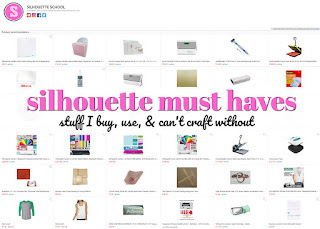 Silhouette users want to use the A adapter. Slide it onto the quill tool and then screw it on so it's hand tight. Place the quill into the tool carriage in the Silhouette machine. It will fit in all CAMEOs, Portraits, and the Curio. If you purchased the foil quill kit and have the metal heat shield, slide it under the tip to protect the surface below. The USB end should be plugged into an outlet or power strip and NOT the USB port on the side of the CAMEO. The power supply is what allows the tool to heat up and the Silhouette machines were not designs to handle this so I would NOT recommend it. Allow the tool to heat up for 5 minutes. While you're waiting, put your material on your Silhouette cutting mat. Position a piece of foil over your material ensuring it's placed covering the full areas where the design is to be foiled. TIP: I would recommend placing the material towards the bottom of the cutting mat. 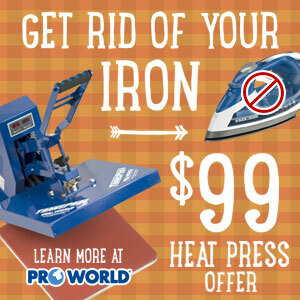 This will allow you to remove the foil sheet while the mat is still loaded in the machine if you also need to cut the material in a second and separate pass. Use washi tape or the tape included with the foil quill set to hold the foil in place. When taping the foil into place, try to keep it as smooth and taunt as possible. The easiest way to do this is to place half the tape onto the foil first then pull it tight as you press it onto paper, etc. The Foil Quill can be used on more than just paper! It works beautifully on vinyl and faux leather as well. No matter which material you use you want both the tool and the action to be "Sketch" rather than cut. However, in order to select 'sketch' as the action in the Send panel you'll need to pick a "sketchable" material (picking vinyl, for example won't even give you the option to pick sketch). 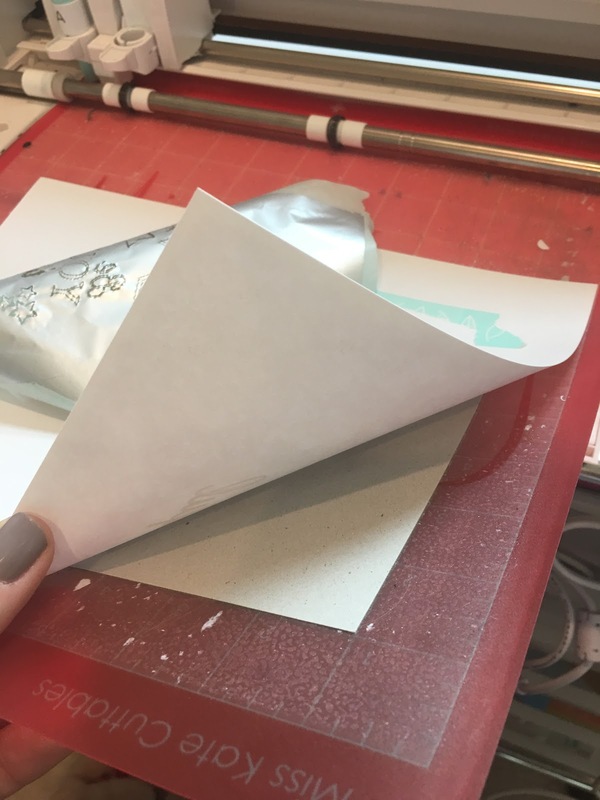 When foiling on paper, place a piece of chipboard under the cardstock as a"shim" to increase the thickness and add pressure under the area where the foil will be applied. I got dramatically better results when adding the shim. Check out how beautiful the foil quill works on paper! 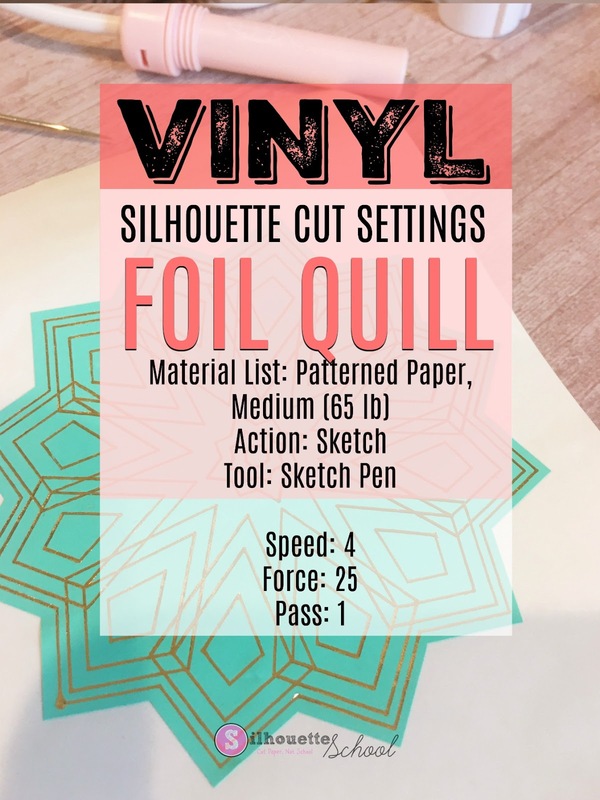 As crazy as it sounds, you can foil on vinyl using the foil quill. 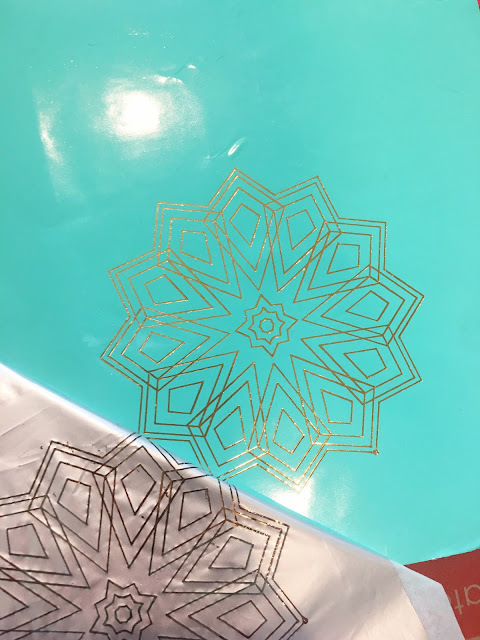 I foiled onto Oracal 651 and got stunning results! The foil did NOT come up on the transfer tape when transferring! You can also foil onto faux leather. Look how pretty this looks on an earring! You can currently order the Foil Quill on pre-order through Swing Design. Shipping is expected in late February pending any delays by the manufacturer.